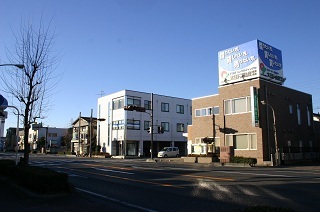 Seseragi Law Office is located in state of Gunma and city of Ota/ Japan. For Japan courts it is not necessary to hire a lawyer. You can do a procedure on your own. If you want to authorize another person to perform the procedures, you should hire a lawyer. You can ask the judical scrivener for some small monetary cases. Seseragi Law Office provides legal services throughout Japan, regardless of nationality or language. In our office, we are members of qualified lawyers throughout Japan. Those who can not speak Japanese must bring their own interpreter, or request an interpreter. We can provide interpreters for Korean, English, Spanish, Portuguese, Vietnamese and Tagalog. Consultation fee is 5400 yen for 30 minutes and if you require an interpreter then a portion of the price is charged to your consultation. Advance notice is required when using interpreters to set the date and time of counseling. Reservations are required for legal advice. Please call the office to make a reservation. Phone weekdays from 9:00 am to 5:30 pm. Telephone bookings are accepted in Japanese. ・The contents of the consultation. ・How did heard about Seseragi office? If you bring your own interpreter, please insure they are knowledgeable about the contents of the case. Also family and friends are allowed in the consultation. Please arrive at the appointed time for consultation. 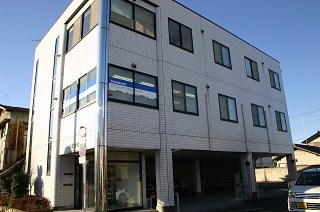 The address of the office is in Ota Ota-shi Gunma-ken 189 Iida-cho "3F Aota-bld. Please call with further questions regarding office location and parking. Our office is on the third floor of Aota-bld. Upon entering the consultation room, you must fill in your name, address and telephone. The attorney will come in and begin the consultation. If the consultation is on debt, the staff may ask you questions before starting the consultation. The fee will be charged after the consultation. Questions about debt will not be charged, but if you need an interpreter you will be charged separately. There will be a contract for lawyer services. A contract procuring the use of an attorney shall be signed and sealed by the applicant. Japanese will need to bring their seal. Attorneys' fees are divided into basic charge, travel costs, compensation. Besides, you need to pay a fee to obtain public documents. The applicant may be required for taxes and to gain certain advantages of the court. Please contact us for a more detailed description of attorney fees.